Words do not make poetry, Aligarh University professor Shrinivas Ramchandra Siras (Manoj Bajpayee) tells Delhi journo Deepu Sebastien (Rajkummar Rao) well over an hour into Hansal Mehta's Aligarh. Poetry, says the sexagenarian protagonist, is what springs forth from between the lines - the pauses and the silences. Aligarh, as pointed and poignant a portrait of loneliness as any that Indian cinema has ever produced, is unwaveringly true to that dictum. Mehta's treatment of an emotive theme is sensitive and sedate; the film's impact is searing. Aligarh is equal parts a powerful character study, an incisive social commentary, a tragedy of harrowing proportions and a cautionary parable about a society rife with contradictions. The story, an introductory disclaimer asserts, is inspired by real events modified on the basis of related media reports and legal proceedings. The film is set in the months following the 2009 Delhi high court ruling that held Article 377 unconstitutional and decriminalized homosexuality - the verdict was overturned by the Supreme Court in 2013. Aligarh hinges on the legal battle that Siras fought against his university to have his job, home and dignity restored to him. Siras loses his professorship and his staff accommodation after two media men armed with a video-recorder barge into his home and film him in bed with a rickshaw-puller. What follows is an ugly, concerted campaign by the university authorities to hound the professor and break his spirit. The lecturer, with his back to the wall, finds an unlikely sympathiser in a rookie journalist who decides to get to the bottom of the dynamics at work on the campus against Siras. The film returns repeatedly to the pivotal opening sequence in which Siras' privacy is invaded, and each replay reveals crucial additional details and perspectives. In real life, the reporter who chases the Siras story never actually met the professor in person. They only spoke on the phone a few times. But in film editor and screenwriter Apurva M Asrani's script, the two men have heart-to-heart conversations (even though Siras's eyes rarely meet Deepu's), bond with each other, and even take a selfie during a boat ride. The interaction is germane to the film's structure as the two characters represent two opposed realities of contemporary India. The older man, battered by the vagaries of life, is a few months away from superannuation. He clings to his pint of Royal Stag and fix of old Lata Mangeshkar songs to tide over his solitude. Melancholy hangs heavy on Siras. Even the two Lata numbers that he savours - both soulful Madan Mohan compositions - are gloom-drenched. Both the sound design (by Mandar Kulkarni), which allows ample space for silences, and the cinematography (by Satya Rai Nagpaul) accentuate the dark mood that encircles Siras. The enthusiastic young scribe, on the other hand, is only starting out in life and has no reason to be downbeat about the future. The principal spaces that Deepu occupies - the newspaper office and his PG accommodation - are infinitely brighter and more cheerful. Aligarh is an obvious companion piece to Hansal Mehta's Shahid, which, too, told the story of a member of a minority group fighting a lonely losing battle. In a more general sense, this gutsy film also extends the director's favourite theme - outsiders refusing to blend in and falling afoul in the process. Both Dil Pe Mat Le Yaar (which also had Manoj Bajpayee in the male lead) and City Lights (with Rajkummar Rao) homed in on migrants pushed into acts of desperation in an unwelcoming adopted city, Mumbai. The protagonist of Aligarh is at multiple removes from his milieu. As he himself spells out early in the film, he teaches Marathi in a city of Urdu-speaking people. He is also single in a colony of married people and conventional families. What Siras leaves unsaid is that it is his sexual orientation that places him most directly at odds with the guardians of an ultra-conservative campus. Siras rues that today's youngsters tend to reduce everything to convenient, sweeping adjectives - fantastic, fabulous, awesome, et al - losing out in the bargain on the possibility of grasping the subtleties of life and love. In fact, he says that he does not understand what the word 'gay' means. He abhors labels, but he is too soft and meek a man to wage a concerted war against his tormentors. Manoj Bajpayee, as a gentle, dignified soul whose privacy is invaded by a blinkered society intolerant of its non-conformists, propels Aligarh forward. As Siras, the actor projects much more than just a mimetic guise. He digs very, very deep to totally internalise the man's debilitating agony. With every pore and sinew pressed into service, Bajpayee, in a miraculous osmosis, becomes inseparable from the tragically reclusive figure that the Marathi teacher and poet was. 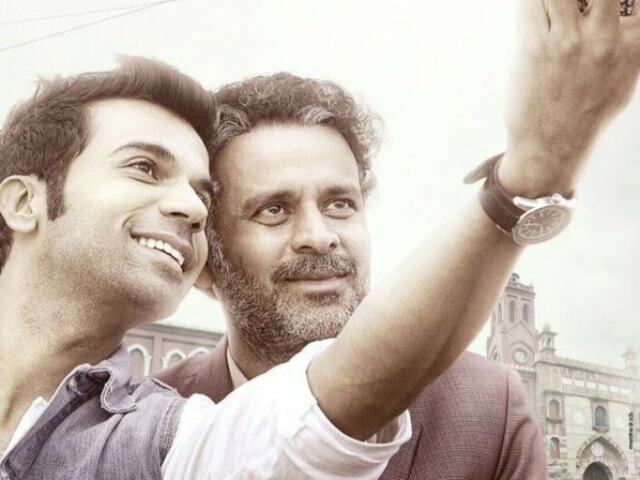 Rajkummar Rao, in his third outing with Hansal Mehta, provides the ideal foil to Bajpayee with a performance modulated to perfection. Aligarh, essentially a study of a victim of entrenched prejudices, articulates its poetry of pain with remarkable precision, right down to the subtlest of its nuances. Mehta strips the tragic true story of all vestiges of overt sentimentality. Instead, he fills the depths of the understated but intensely moving drama with genuine, unsettling emotion. So, in addition to being a portrayal of the gay experience in an unjust and insensitive society, Aligarh is a human drama with universal resonance. It encapsulates the plight of all dissenters.